Marble collecting has been a hobby for at least three generations: the first generation won them, the second generation inherited them, and the third generation now buys them online and on the secondary market. 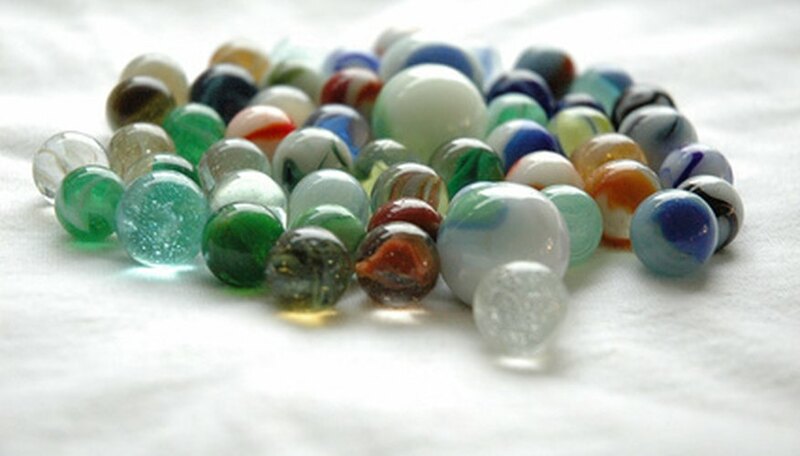 Marbles may be made of glass, clay, china, pottery or steel, to name a few--and they come in many sizes. The one factor that makes marbles all alike is that they are orbs that roll when pushed. Orbs are difficult to measure, but simple tools make measurement much easier. Measure marbles with a template. Marble templates are available and will fit most marble sizes. There are templates made specifically for marbles and templates with circles in different sizes. The marble template measures marbles accurately; the circle templates do not. The difference is that the circle template allows for a pencil lead to draw around the circle; the marble template has no pencil lead allowance. Choose a marble and place it on a tissue or surface that will prevent it from rolling. Lay a marble template on the tissue and try the marble in the different holes until you find the one closest to the size of the marble. Write down the measurement. Most templates measure to 16ths of an inch. This is important when buying and selling marbles, as collectors base price on the size. Measure marbles with a caliper. Calipers come in metal or plastic and many measure in millimeters or metric units. Others measure in 32nds of an inch. Lay the marble and caliper on a soft cloth or tissue so the marble will not roll. Place the marble in the jaws of the caliper and turn the wheel or push the slide to close the jaws lightly on the marble. Read the caliper according to the manufacturer's directions. Some calipers have marks on the outside edge, and many are marked in metrics on one side and inches on the other. Select the type of measurement you want. Write down the measurement and put the marble back in a safe place. There is a battery-operated digital caliper available that reads the measurement once the marble is in place. What are the Different Marble Sizes?